We are experiencing a heavy winter here and honestly, I am not used to it nor I like it. I don't like to be inside all the time and not be able to do anything. I love the summery hot weather and be outside and enjoy nature (I was born in July so I am a 'summer' person - I don't know if that's a word but I am). And I cannot handle cold. I wear too many layers (sometimes 4 or 5 to keep my body warm) and I look like a snowman. But staying at home all the time is not always bad. And my favourite thing to do is online shopping. To be more precise, ebay shopping, because I find so many lovely things (most of them I don't need but end up buying anyway). 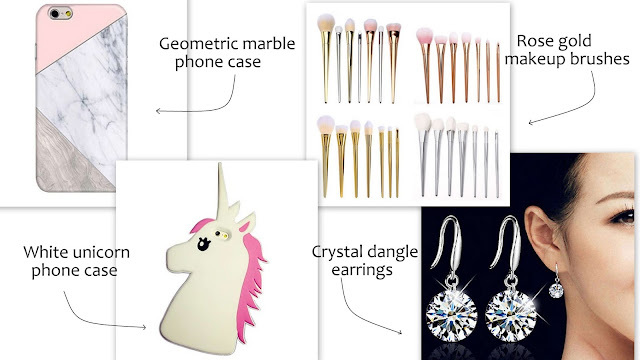 Today I have a wishlist of some things I ordered already and things I would like to have and I thought it would be nice to share with you in case you need some similar products or give you some ideas. My favourite item from this list is this sleeveless wool cape, how pretty is that? Hope it arrives soon and I cannot wait to wear it. Also, these rose gold makeup brushes are so beautiful, this set was recommended by a fellow blogger as a dupe of the original set and said that the quality is excellent. And the price is great so I will order these brushes asap. 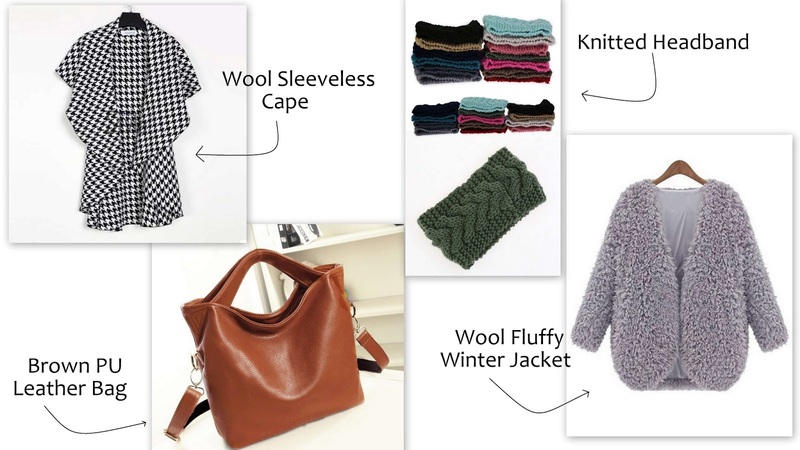 Another favourite from this list is this woolen fluffy jacket that I already have in black, I purchased it last year and I adore it. So now I am purchasing this grey colour, it would look awesome with a plain t-shirt and jeans. Do you enjoy online shopping as much as I do? Do you purchase things from ebay? Hope you liked this post and I will see you soon!